Here's the book you all have been waiting for. 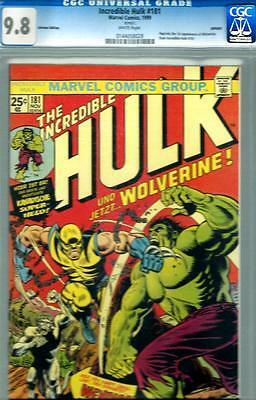 The Incredible Hulk #181 CGC 9.8 (White pages ) the 1st app of Wolverine. This is truly a beautiful GEM everyone. That beautiful copy of Tales Of Suspense #39 CGC 9.8 ( German Edition ) & 1st app of Iron Man, will be up for sale when this 1st app of Wolverine ends.